The team at Eurocell are attracting lots of attention with their SlateSkin GRP roofing system at The Build Show being held this week from the 6th-8th October at Birmingham’s NEC Exhibition Centre. 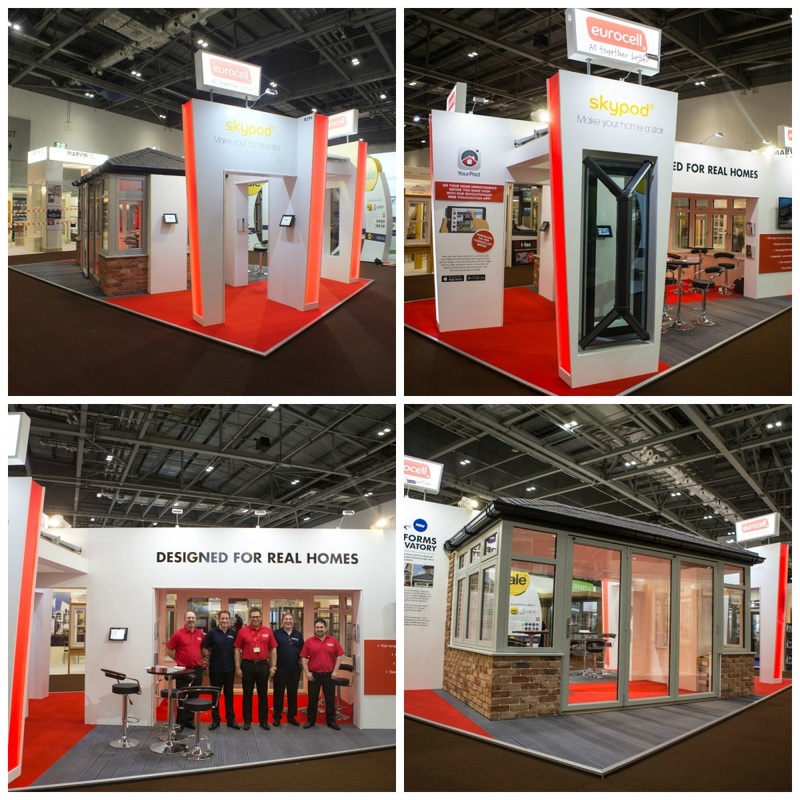 A visit to the Build Show will get you access to leading industry content including The Site Zone: an interactive area for demos and workshops, Careers Centre in association with the House Builders Federation, Commercial Vehicle Test Drive and a dedicated section for Civil Engineering. From UPVC windows and composite doors, to stunning Aspect bi-fold doors and innovative Equinox tiled conservatory roofs, Eurocell’s huge product range is available in a host of colours and styles. You can find Eurocell at stand number B3/205 and view their impressive product range. To read the full case study behind Eurocell’s current custom exhibition stand please see our portfolio. If you would like to contact us about our exhibition stand options and services please call us on 01733 570222 or complete the design brief form below.